This is an extraordinary weekend. For former students and staff a celebration of friendships forged but also a threnody, a lamentation on the departure of the college from this magical place. Everyone associated with the college is delighted that Lady Jess Clegg has been able to come with her family and friends among them former West Riding staff. For it is absolutely right that on this weekend Sir Alec should be remembered. 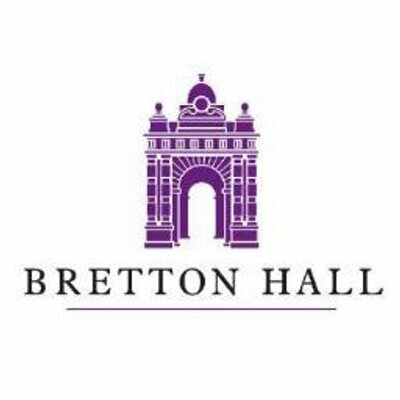 His vision of the centrality of the arts in children’s learning inspired the enterprise that was to become Bretton Hall College. It is at his instigation that we are all here today; students from the earliest days, students completing their studies here this year, some going on to study at Leeds; staff from past eras and of today; members and officers of the City of Wakefield, and of the University of Leeds. He had been appointed deputy education officer to the West Riding County Council in 1945 at the age of 34. and later that year became Chief Education Officer. He led the education authority until the County was reorganised into the newly formed district councils in 1974.The West Riding with a population of 1.75 million, and with 330,000 children in its primary and secondary schools by the early 70s was a pioneering authority under Sir Alec’s outstanding leadership. I believe the County paid the princely sum of £49,000 but recent information suggests it was £30,000.The military were just moving out there was a terrible mess to clear away and merulius lachrymans was present in the mansion (a lovely name for dry rot!). The West Riding entrusted the founding of the College to John Friend at that time Staff Inspector for Secondary Education under the London County Council. He was appointed Principal on 21st March 1949 & by 3pm on Thursday 25th September 1949 a group of fifty six men and women had gathered at the main door of the Mansion waiting to be admitted as the first students of Bretton Hall. To greet them were John and six teaching staff and the domestic staff who, dodging round the workmen, had prepared the old place in time. Indeed, it has been the domestic and outside staff who have kept this place in order. In fact the first two staff appointed to the College were George Roberson and Eddie Frost, head and deputy gardeners. John & Mary Friend & three daughters, one of whom, Hilary, is here today, lived in a flat in Mansion; tutors were in residence or lived near by. In his account of those years which he entitled “Community and Creativity,” John described many occasions when Sir Alec visited Bretton to talk to students and staff about education through the Arts. His focus was always on the children as learners and his questions went to the heart of the College enterprise. The community was indefatigably energetic. At one point, George Roberson planted a large flower bed to celebrate the College’s work. When in full bloom it spelled M A D ! “ Above all encouragement was his banner and I remember one of his favourite quotations which he used when speaking to teachers in many parts of the world, and which was written by an HMI in the last (ie. 19th) century. “Encouragement is that recognition which our natures crave, and acknowledge with renewed endeavour.” As with children so with adults, it is recognition by our friends, family and professional peers which matters most and which sends us back to work with a light step. I can recommend anyone wishing to research the development of education in the arts to make arrangements with the Archivist at the Centre, Leonard Bartle …. the material goes back to Marion Richardson and earlier …. I am grateful for his help in re-igniting the embers of my memories. The amazing fact about the college was its vibrant life. The place grew: modern student accommodation in the 1960s; the hostels nestling in the hillside above the Mansion. Over the hostel doorways decorative panels from demolished stately homes in Yorkshire. The West Riding architects were very sensitive to the impact of modern plain brick buildings on the landscape. Thanks to their vision and the monumental efforts to maintain the grounds and historic buildings in good order there were many days when the old and new glowed together. The reputation of the West Riding education service spread far and wide and Sir Alec was in great demand abroad as well as in the U.K. There came into my hands in about 1965 a slim book – a report (1963) by the West Riding Education Committee. Between its modest covers Sir Alec had collected examples of writing by children and young people in the County’s primary and secondary schools. Nowadays the plethora of assessment devices/examinations Sats, GCSE, AS, A Levels seem burdensome but in those post-war years there were other monsters lurking in the classroom. To help teachers, parents and pupils confront these beasts there were published hundreds of books sold in hundreds of thousands of copies – books with titles such as “English Progress Papers”, “The Eleven Plus Preparation Book”, “Scholarship Tests as They are Set”, “The Academy GCE Model Answers” all these to be used in schools. Those to be bought by parents had titles such as “The Eleven Plus Home Tutor”, and “The Scholarship Home Tutorial and Examination Aid”. Sales from the County Supplies Department showed that in the schools working through books of exercises was the prevailing method of teaching children to write the English Language. As Sir Alec said, the purpose of “The Excitement of Writing” was to persuade all teachers to consider whether working through these exercises was the best way of teaching children to write fluently, easily and with power. For me this book was a revelation; in it were examples of children, who had not been exposed to working through exercises, writing from within their experience and imagination and also able to write careful accurate objective accounts. Fluency in writing of both kinds came from classrooms where the exercises had no place. she’s a monkey when telly’s on. She plays up and down. I make this for a man that dies. And here I put dead fish from lakes. Must make sure the fire is hot. Now I throw in finger nails. Then in go savage starved dog’s tails. 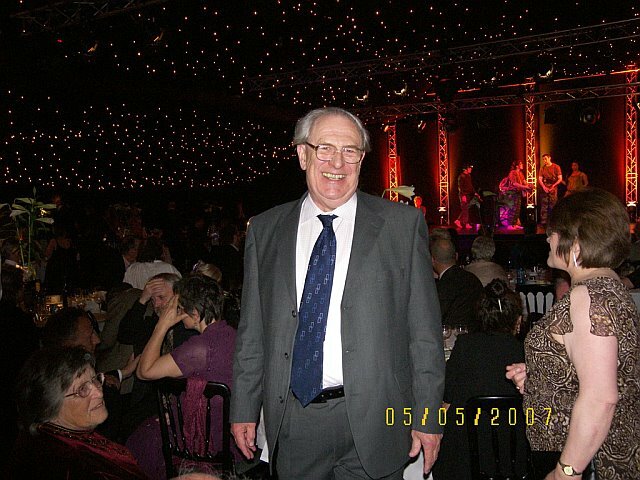 When in 1966 a vacancy arose in the West Riding for an inspector of schools to lead on physics and chemistry and to take care of primary and secondary schools across three divisions, I had to try for it. In a short time, I was receiving the best education about teaching and learning from my colleagues in the inspectorate, advisers, and from many gifted heads and teachers in the schools. At the heart of it all, was the art of making time and space for children to do and to learn by doing; to draw on their own imagination in responding to experiences in the classroom and their ever widening experiences outside school. Of course, this is how we all learn, adults too. Busy classrooms were places of excitement, good behaviour and cooperation; without quarrelling or jealousy. No surprise here! Imagination is the mother of empathy and her granddaughters are sympathy and compassion. In 1968, John Friend retired and I was appointed. It was August when Margaret and I and our two daughters moved into the well appointed Principal’s house which today is the Students Union headquarters across the road from this hall. The College was flourishing, energy crackled around the place. Numbers of students had increased rapidly in the sixties. Alongside Art was Fashion and Textiles; Music, Drama and English had been joined by Science, Mathematics and Environmental Studies as teaching subjects for primary and middle schools. Religious Education was a minor subject. Studies in Education brought the students together from specialist departments. We set time aside for tutors to meet in seminars to hear from their colleagues what was going on in each department. I believed this would encourage and strengthen the collegial spirit which had been so strong when the college was smaller. The DES had asked colleges to reconsider their internal academic governance. To cut a long story short, we ended up with an Academic Board comprising all full-time tutors and some part-timers. Student representation quickly grew to about ten places. The staff-room was packed when every one turned up. The Board followed simplified Erskine May parliamentary rules. Sessions began with “Order, Order!” in the style of George Thomas. When institutions of learning are obliged to change many delicate filaments which link the participants in the enterprise are put under strain. As I have recounted Sir Alec’s focus was always on the learners and he trusted his heads and teachers to promote effective practice. Here at Bretton Hall, a community of adults, it was important to keep an open society where no-one could say they were unable to know what was going on. The one kind of information we did not publish was examination results of individual students; each received results in private from their tutor. There was no crowding round lists in Pillar Hall trying to find your name. The College had grown to some seven hundred students with seventy plus teaching staff and a large team of staff feeding, housekeeping and care-taking the community. This would be the size of a faculty in a University in those days. In the seventies, we were instructed by the Department of Education to reduce the number of three year teacher training places and it was agreed we could offer BA courses to replace some of the BEd programme. 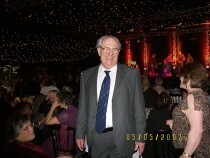 Lord Edward Boyle who was Vice Chancellor of Leeds University at that time was totally supportive. The University with which we had been affiliated for our teaching courses from the earliest days agreed to validate the new degrees. Crucial to us was that practical work rather than unseen exam papers should be the major feature of our assessments. Unseen papers would have a part but, for example, assessment of students creative work in producing a play, a dance piece, music performance, art and design and fashion works would carry major weight. This was not easy for many staff in the University to accept but we seemed to find our way through, including courses where students brought together work in different art forms. We kept faith in our teaching programme with large blocks of time devoted to practical work. Half a day would be a minor element, with one or two whole days on major subjects. The place continued to buzz. Imagination was the oxygen in the life blood of the old place. One of the traditions which fuelled our imaginations was the study and performance of the medieval Wakefield Cycle of Mystery Plays. These had been un-regarded for many years until resurrected by Martial Rose, head of Drama in the fifties. John Friend told me that Martial worked on the original manuscript for five years and brought the material into a usable form. This must be the single most significant act of scholarship at Bretton. The cycle had not been performed in its entirety for nearly four hundred years when the College mounted it in 1958. The venture with thirty two plays, a host of characters and much scope for crowd scenes, brought the College together at a time of change and expansion. The whole cycle was also presented later in the life of the College and had similar unifying effects. I reminded Rhiannon about this the other day. She could remember the event and added that she had been shocked when Pontius Pilate got into our car for a lift back to Bretton. Such significant silence! To see the last group of Bretton Hall students giving us a new response to the Wakefield Cycle last night was extraordinary after all these years. “I seem to be surrounded by drama, even just getting into a cab and talking to a taxi-driver . I come out the other end my head spinning, thinking that’s a fantastic story even though they might be telling me something tragic.” I have never met Kay Mellor, simply admired her work, but this remark tells us how one creative imagination is always switched on. The interior workings of each person’s imagination have always fascinated me. .John Godber has a very interesting web site in which are included extracts from feedback sessions held with audiences after his plays. Following a performance of “Our House” at Hull Truck Theatre in July 2001, he was asked how he set about writing a play…. I do not know if John Godber works differently in 2007 but I’ve included this account because of the clarity with which he delineates two different “heads” involved in his writing a play. Imagination in spate then the flood tamed and brought to clarity. Young children may have a more direct approach. Ken Robinson who was also here in my time has a nice story about a six year old’s imagination. Her teacher sees her absorbed in drawing. Sir Ken, as he is now, chaired a commission and published a report in 1999 “All our futures: creativity, culture and education.” I can strongly recommend it. …..there is something I need to explain: in preparing this talk I decided against referring to many students and staff whom I remember well and have named only those individuals whose words or work I have quoted from…..there were in my time so many gifted people here that to list some but leave out others would be too embarrassing; please forgive me. Or again, I’d wander into the pottery or the fashion workroom or a print studio and find a student from another department watching a friend doing extraordinary things with clay or fabric or inks, totally absorbed. One fortunate outcome of the timetable was that each third year drama student had to chose, cast and direct a play in the Autumn Term. They had to involve students from other courses in their work. New students were stunned by the exuberance sometimes pandemonium this generated in their first term at Bretton and many were seen in plays in their second year. Speaking in this hall, I remember when it had windows and curtains and was our main meeting place and the setting for both music and drama. Full symphony orchestras, huge wind bands, massed choirs performed. Here John Hodgson’s carpenters built elaborate stages. One for “A Midsummer Nights Dream” had two circular ends sloping up from a straight section in the middle. Oberon’s chapter hammered around this space on motor bikes dressed in studded leathers. Someone had borrowed my tan shirt and matching tie and our matching golden cocker spaniel. Theseus, Duke of Athens, “My hounds are bred out of the Spartan kind.” Also in this hall, Lord Boyle, for the University, co-financed with us the world premier of “Sizwe Banzi is Dead” written in South Africa by Atholl Fugard with John Kani and Winston Ntshona. The play was about the iniquitous pass-laws and went on to the Royal Court Theatre, in1973. It has been revived this year at the Lyttelton in the National Theatre. A major event was the visit in the mid-seventies by Robin Howard the founder of the London Contemporary Dance School and Theatre. Robert Cohan their choreographer and director came with a group of dancers for a residency. This brought many students and teachers to Bretton and gave a great fillip to dance and movement education in West Yorkshire. My proposition is that for many people the creative energy released in a college of modest size with clear focus is a priceless aid to imaginative work. I believe that at Bretton Hall we kept faith with Sir Alec’s philosophy of education and adapted his principles in terms of adults learning together. Remember, he set up, in all, five colleges to train teachers and his influence ran deep into the ethos of each one. Others elsewhere in the West Riding were working towards similar goals. Here in what was the most outstandingly well endowed campus, the story continued into the 80s and 90s. The commitment of staff to what John Friend used to refer to as the principles of the founders was visible to me day by day. Naturally, someone occasionally would weary of the pace of life and work but colleagues were enormously supportive of each other and most of us could find a second wind. Students were, of course, a wide spectrum of personalities from the introvert to the maddeningly extrovert. To me, their capacity to share as members of a community was deeply moving with creative friendships crossing between the specialisms. Living in Bretton gave me a sense of a unique pulse of life which I believe has been part of the history of the College from its earliest years. How does a place such as Bretton Hall where its denizens are interacting like billy-o keep faith with the wider community which pays for it and sustains its considerable material well-being. Clearly, each teacher goes out and repays his or her debt as do musicians, artists, media people, actors, writers and organisers who all add to and widen the culture of our times. I was concerned in the 1970s about our literal “openness.” We had created a nature trail around the lakes. Bretton Lakes became a Site of Special Scientific Interest for its educational work. Our outdoor pursuits included boating, canoeing, on the lower lake. Children were here in large numbers as schools benefited from our resources. Yet, we were not really open to local people. With so many young men and women in residence for whom the campus was home ground, there were fundamental problems in regarding the Bretton Hall estate as an open area however clearly we delineated private ground around the Mansion and hostels. There was no way I could ask the residents of Bretton Hall and the Governing Body to widen access into the two hundred and sixty acres of Capability Brown landscape unless there were a clear educational purpose which would unite the College’s essential aims to this new open access policy. These issues matter at the most intimate level to residential communities. This had to be right. In 1974, responsibility for the College passed from the West Riding to Wakefield Metropolitan District Council. Our new Governing Body which now included councillors from the District also had representatives of the University and one or two independent members, was enormously supportive of the College’s aspirations. Bretton Hall was potentially a great resource for the local populace. The District Council had decided to acquire the Deer Park to the East of the Campus as a Country Park. This was to prove an inspired decision. In 1976 Peter Murray who was principal lecturer in charge of the one year training course for Art Teachers came with a stunning proposal. To summarize what I remember from our original conversation these were the propositions. 1. The Capability Brown landscape provided a series of outdoor spaces- as he spoke I pictured open- air rooms- in which sculpture could be exhibited. the open-air and allow the public free access to see the works. 4. A permanent outdoor sculpture park might be the outcome but we could test the concept with a reasonably large exhibition. Peter made the crucially important suggestion that we should exhibit the work of sculptors with a Yorkshire connection. In1977, this show brought thousands of people to Bretton. I had a very critical response from some local politicians. “Why pollute the park with this modern rubbish.” With the support of Wakefield Council we survived. At first the Sculpture Park was an offshoot of the College.The work of developing Peter’s original idea scraped along hand to mouth. Extra work for the gardeners, caretaking porters and security staff, paid by the College but only just. I remember John Heathcote, the Bursar, who somehow had found small amounts of cash to help student groups go to the Edinburgh Fringe, finding money to support the exhibition of sculpture. Somewhere £25 was found to buy an ancient tractor. Peter Murray obtained support from regional arts funds for the first 1977 exhibition but much work, it seems to me, was done on zero finance. One of the most vivid memories I have is pouring a cup of tea for Henry Moore, in my Oval Office, while he told me he thought this was a lovely place but if his work were to come to Bretton it should be located in the Deer Park. Of course: here was a more natural landscape, nicely populated by sheep, with rising ground, with folds and plateaus Wakefield District were happy to oblige. Nowadays, the Henry Moore’s grace the Country Park, the YSP manages the exhibition pieces. Such a happy outcome from which so many benefit. Sir Alec and Lady Clegg’s son, Peter, is partner in the architectural practice Fielden, Clegg, Bradley. He was responsible for the design and build of the Yorkshire Sculpture Park Centre. A beautiful structure in its own right, it does not challenge the landscape. Rather, the long windows invite the park into the building which in stone, wood , metal and glass reflects the internal spaces back to the sculptures outside while providing indoor space for work to be displayed. The enterprise which is the Yorkshire Sculpture Park continues the vision of education inspired in the West Riding by Sir Alec. Around 40,000 children visit the Yorkshire Sculpture Park every year. They come to look, touch, think and to make and do; every child brings an imagination and most go away with a new nugget gleaming quietly in a corner of the mind. It is through the Yorkshire Sculpture Park that the area across the lakes known as Longside has been re-united with the landscape around the College. With Wakefield Council’s decision to acquire Bretton Hall as the University withdraws to Leeds, the Local Authority and the YSP in partnership offer an unrivalled asset to the public of Yorkshire and the wider nation. Indeed what has been created here is a resource of international significance. The current exhibition of Andy Goldsworthy’s amazing creations is stunning, a superb event on the YSP’s 30th birthday. When I left here at the end of 1980, Peter Murray was at the beginning of a life’s work to create the Yorkshire Sculpture Park. He and the allies and colleagues who gathered around him have been embarked on an extraordinary feat of construction. The most recent structure, the Under Ground Gallery above Terrace Garden, also by Peter Clegg and colleagues, is a miracle. May this venture last for all our futures and for our descendants, too. I am sure Sir Alec Clegg would have been thrilled to find his beliefs promulgated in this place and reaching out to a wide community visiting the Park in their hundreds of thousands each year. Just think, you pay for the car park but these priceless works of art are uniquely accessible and , to coin a phrase, free at the point of delivery. The YSP is the NHS of the human imagination! It has taken great vision and adamantine tenacity to build this cooperative venture and to Peter Murray’s leadership and to those who have supported him we owe a boundless debt. In the 90s there were many changes in the governance and the funding of higher education. You can imagine the impact on Bretton Hall. The decision was taken that the College must expand in order to survive. I was astonished to read that at one point there were 2,600 students spread across three sites Bretton, Kettlethorpe and Manygates- Rhiannon was born at Manygates Hospital in 1971 so you could say we were there first. Also, there were large studios in Wakefield: Powerhouse 1 for theatre studies near the Theatre Royal and Powerhouse 2 for art and design on Kirkgate, I understand. My own instinct would have been to keep faith with Sir Alec’s original conception of a community of students of the arts at Bretton. As necessary, seek supplementary sources of income and develop symbiosis with the Sculpture Park. When in the event, the expanded College ran into terminal financial difficulties, many of us saw merging fully into the University as a heartening development. Then as I understand it, around 2001/2, music and art and fashion/textiles were moved to Leeds to join appropriate departments there. Thus finally the College was dismantled. Our colleagues in the University must understand that our deep regret at the removal of the work from Bretton Hall is in part prompted by the loss of this environment to stimulate a community of students of the arts. Also, we valued highly the chances we had to inter-act across the different art-forms in a sharply focussed community. We have seen such rich outcomes in human terms. Many of us do not see the centre of Leeds possessing the magical properties of this ancient landscape with the riches of the Sculpture Park, too, which can allow space and time for people to work together, create and grow. May those who continue Bretton’s work at Leeds, enjoy in time the planned new Arts Centre and keep faith with the longstanding commitment to nurturing the individual imagination. Certainly, much of the work on display this weekend has promise for the future. It is good to know that one of the studios will bear Sir Alec’s name. I want to turn to current education issues, nationally, before coming back to the central theme. There are echoes from some of Sir Alec’s concerns thirty and forty years ago which are to be heard today. One is how best to spread good practice. The traditional methods with local advisors and national HMI bringing teachers together to hear about and see what their peers were doing were weakened when a regime of inspecting and reporting (OFSTED) became the dominant modus operandi. This created a distance between “us” the teachers and “them.” Inspectors came, pronounced, then disappeared. There seemed to be no commitment to development. The outlook was completely at odds with the philosophy of the West Riding. Over the years, I have visited thousands of classrooms, talked with hundreds of heads and teachers and I can tell you that judging the quality of learning and teaching is complex and subtle. You need long term contact with a school to understand it properly. Yet, the earlier, rather primitive OFSTED approach has more recently evolved and relations have , I think, improved as early rigidities have become more fluid. “We must begin by acknowledging that giving every single child the chance to be the best they can be, whatever their talent or background, is not the betrayal of excellence, it is the fulfilment of it.” Excellence, this means, is the highest achievement of each pupil not, simply, the best achievement of the most able pupil. The launch of this initiative was a speech by the Minister of State for School Standards, David Milliband, in Belfast on 8th January 2004. His address was entitled: “Personalised Learning- building a new relationship with schools.” The total budget for personalised learning is over £500 million. This statement of policy from the DFES is surprisingly liberal in outlook. It is a very long time since the notion of child centred learning has found its way into print from this source. It would be unkind to mention the re-invention of the wheel. Let us say thank you for some fresh thinking. Considering the rate of change in the last twenty years, teachers have achieved much. Just think back to the Baker Act , the introduction of a national curriculum, Key Stages I, II, III, IV. So many pressures, so many teachers wilting under those pressures exerted from the centre in London. When the Inner London Education Authority was demolished in 1990 my job as Chief Inspector for post sixteen education was over. I worked for the Open University tutoring for the MA in Classroom Studies and then visiting O.U. students training to be teachers in schools across Mid and North Wales. So, twenty years after visiting West Riding schools and Bretton students I was seeing another generation learning their trade. The perception of learning and teaching and the insights gained from Sir Alec’s West Riding still applied. So much of the success he sought to promote depended on gifted teachers and heads. What brought me to the West Riding in the 60s was Sir Alec’s commitment to creativity, the child’s imagination. Here at Bretton he established the framework for a community of tutors and students dedicated to education through the arts. Later, other studies joined the family. Finally the College returned to its founder’s original purposes. Looking at education nationally, at the beginning of the 21C, we see emerging again a commitment to the personal in education, to inclusiveness, to widening opportunities, “to high quality and high equity.” I am more optimistic than I was in the 90s. Now for the future…I hope the City of Wakefield and the Yorkshire Sculpture Park can find a third partner to ensure Bretton Hall can thrive as a centre for the whole community to learn about the arts and to expand their imaginations in this wonderful environment. Perhaps there is scope for a commercial venture to join with YSP and the City. The ideal outcome would be partnership with an international venture, with Bretton the locus of work from around the world. Here in this place there is still a trace of that distinctive perfume as we remember and honour Sir Alec Clegg and recollect our lives as students and teachers in Bretton Hall which he brought into being some sixty years ago and where each of us grew towards being the person we are today.